My first zipper. My first dog bed. 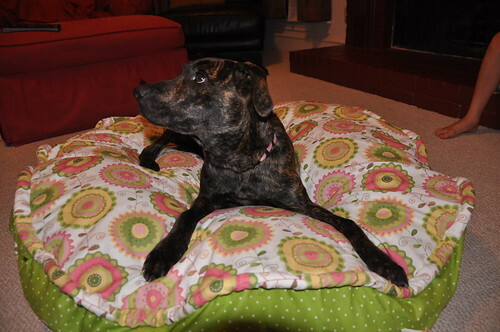 My first custom made dog bed cover. While it’s in my blood, I ought to whip one up for Christmas. Otherwise, I may move on to something else and give it up completely. It’s adorable fabric – I just wish it matched something in my house (we’re all reds here) but it is really, really cute. The boys are enjoying it which makes me want to make them some bean bags for the playroom. There are some giant knitted bean bag type things I’d like to make for them…another day, another project! I have been following Grosgrain Fabulous for quite some time now. Love, love, love her giveaways. The costumes are just the best. These baby clothes are adorable, too, and are patterns for a beginner which gives me hope. Pop on over and take a look – I’m sure you’ll love her site, too. Shhhh! I’m supposed to be working. It’s taken me all day to clean off my desk and, in order to clean off my computer screens as well, I’m gonna need to document these adorable Easter ideas that I came across a couple of days ago. First, the Peeps Bunting by Dana of Made on V and Co website is ADORABLE – I can’t decide which I like better, yellow or pink! Second, I love the twine she recommends in spring green over at Divine Twine. Happy Easter sewing. Wish I could make some peeps this year but maybe next now that it’s “in the files”. From Chez Beeper Bebe and it’s just adorable! And I vaguely remember having enough extra time to create something like this…so cute. My kids are (mostly) too big for this but I’m keeping the adorable idea, just in case. Houston’s International Quilt Market didn’t indicate any sort of economic recession to me. These people have a passion and they take it seriously. There are some wonderful men at Quilt Market (if you’ve never met the big wigs over at Clover tools, run their direction as fast as you can – they are funny, generous true gentlemen!). But overall, the estrogen was so thick you could cut it with a knife. Husbands lined the walls, held the bags, and stood aside while female shop owners and designers worked the floor. Fabulous! They even have little green ribbons for those of us who were venturing there for the first time. Other newbies stopped me to ask where I got my ribbon. You see, at Market, it’s all about what you’re getting: contacts, friends, food, fun, but most importantly…inspiration. And I’m not even a quilter! Izzy & Ivy Designs won best new booth or something like that (an official award; not a made up one like mine!). I came upon Quilt Market almost by accident: hubby transferred to Houston and my good friend Benay, of Beany Boy Quilts, wanted me to help her design and layout a quilt book. We’ve been in Houston about 14 weeks and – true to her word – Benay came down to visit me and we headed out for downtown. The rows upon rows of interesting fabrics and quilts were mind boggling. I don’t quilt, you see, but any girl with graphic sensibilities can appreciate a good quilt design. You could immediately tell which pattern and fabric designers stood out from the crowd because their booths were crowded. There were so many fun exhibitors who actively passed out fliers, smiled and said hello, inviting you into their booths. In contrast, there were quite a few exhibitors who just sat in their booth looking unfriendly and not even saying a word. I noticed a trend: those with traditional patchwork and passé designs were the ones looking uninviting. The best exhibitors had not only fresh, fun quilt designs but they also included other projects: animals, backpacks, books, you name it! Their creativity wasn’t limited to quilt design. And it showed. They were genuinely creative people. 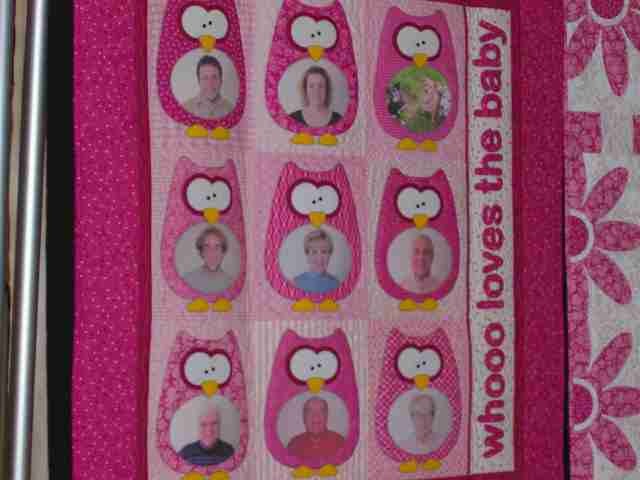 Amy’s quilt design for baby – great idea! The sweetest and kindest exhibitor has to go to Amy Bradley and her daughter and mother. What a fun crew! They are the kind of people you just know you love instantly. 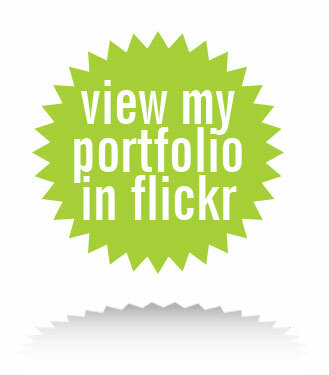 And her work…well, she was a graphic designer first (I’m not biased or anything) and it shows. Another trend I noticed was that the freshest designs of the lot were not from good old Moda or Windham Fabrics but from independent start ups – most coming out of Utah. Riley Blake was a huge hit – what a great setup out of Alpine, Utah – and Mary Cowan of Mary’s Cottage Quilts in Sandy, Utah. 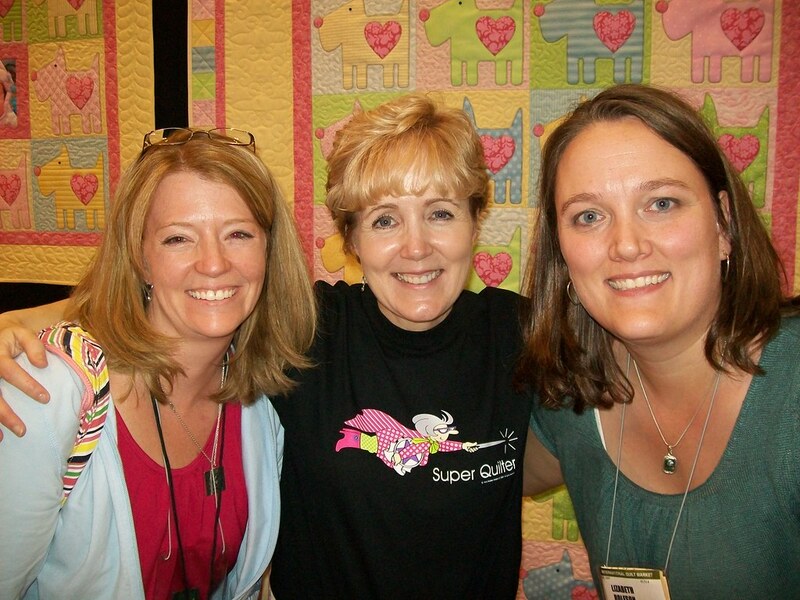 Another Utah favorite was Abbey Lane Quilts: Marcea Owen and Janice Liljenquist were so friendly and patient with us as we had to touch every. single. thing. My favorite fresh designs outside of Utah were from The Noble Wife. Designer, Jacquelynne Steves and her stalwart husband showed that all of the hotbed of fabric designs is not exclusive to Utah as they hail from Woodstown, New Jersey. My all-time favorite booth of the show, however, has to go to Melanie Hurlston of Melly & Me. This group from Australia and their lovely accents were not the only thing that attracted me to their booth. I was hooked from the Friday night Sampler Spree and sought them out Saturday to get another hit from their hip wares. The books – all designed and produced by themselves (including the photography!) – were a breath of fresh air. They exuded confidence in their own designs and it just plain didn’t look like everybody else’s version of the latest trends. They were fantastically independent and I cannot toot their horn enough. I will be seeking them out for personal inspiration, graphically speaking, and I don’t even quilt! 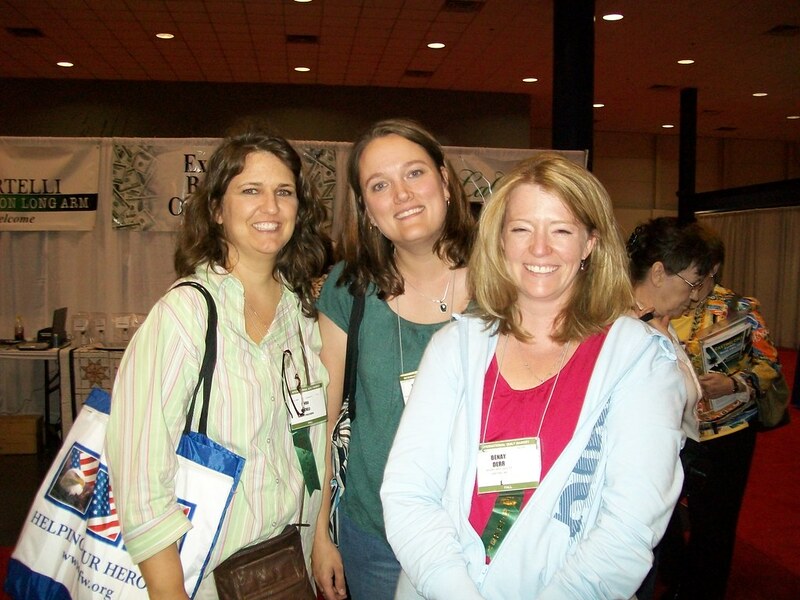 They totally were the Homecoming Queen of Quilt Market in my book! 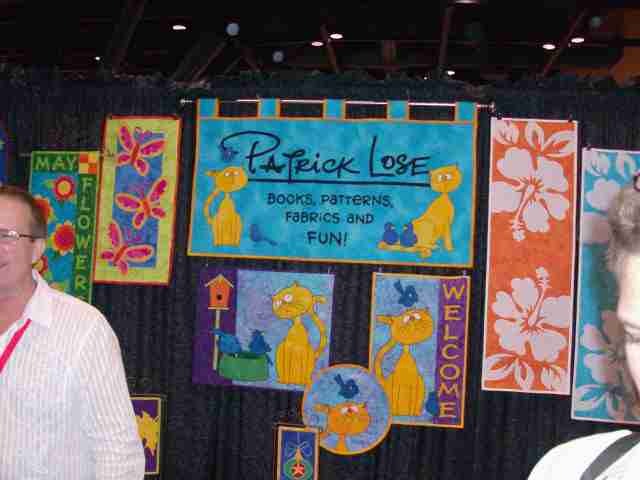 Speaking of graphic inspiration, the award for best overall graphic sensibilities in quilting design would have to go to Patrick Lose of Patrick Lose Studios. I had the chance to chat with him and it’s no wonder – he used to teach Graphic Design at a design college in Des Moines, Iowa. Now that’s so close to home, it gave me goose bumps (I’m still a little midwestern home-sick!). 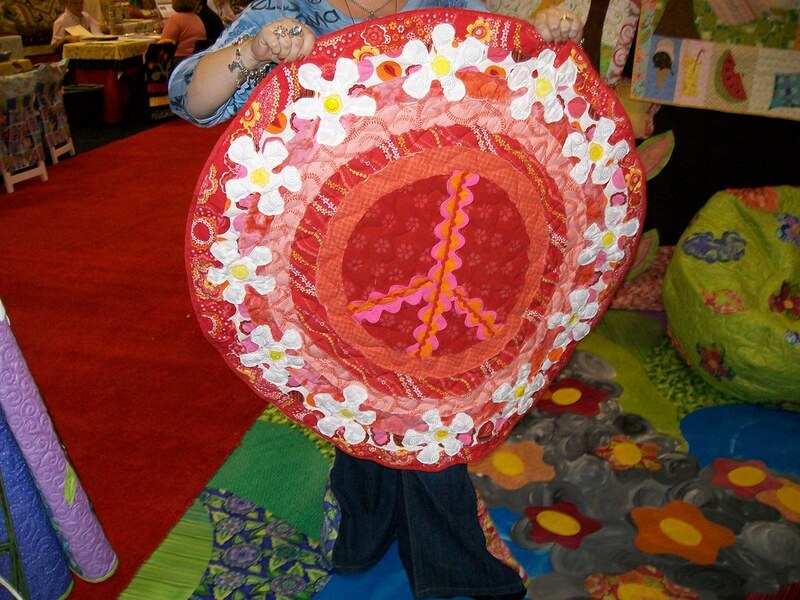 Lizzie B’s groovy peace quilted rug. Other standouts: Lizzie B Cre8tive – she would have to be runner up for Quilt Market Homecoming Queen – great rugs and all around design. Very eye catching! 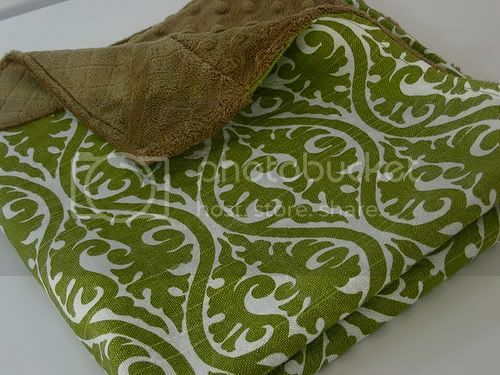 I also liked Cloud 9 Fabrics, organic and super soft fabrics. 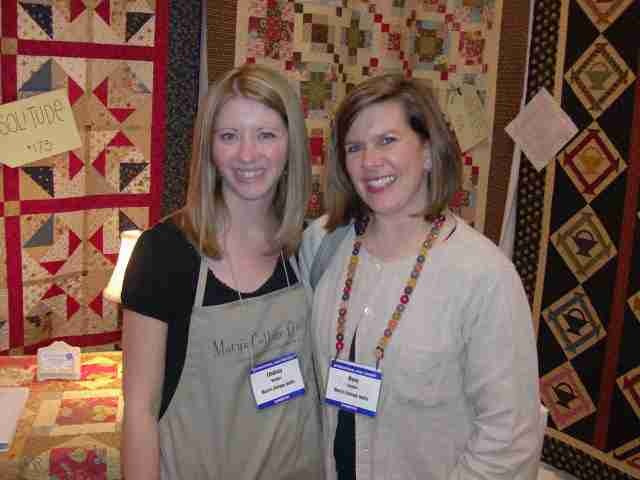 The Miss Congeniality award goes to Laura and Lynnette of Beach Garden Quilts in Seattle. They were wonderfully friendly – like instant best friends – and helped us feel at ease. They have some innovative quilted looking floor mat designs – be sure to check them out. A quilt in the display section…name anyone? The only thing left is to recuperate. But I don’t have time. I’ve been so inspired, I have all sorts of graphic design inspiration to work out. p.s. 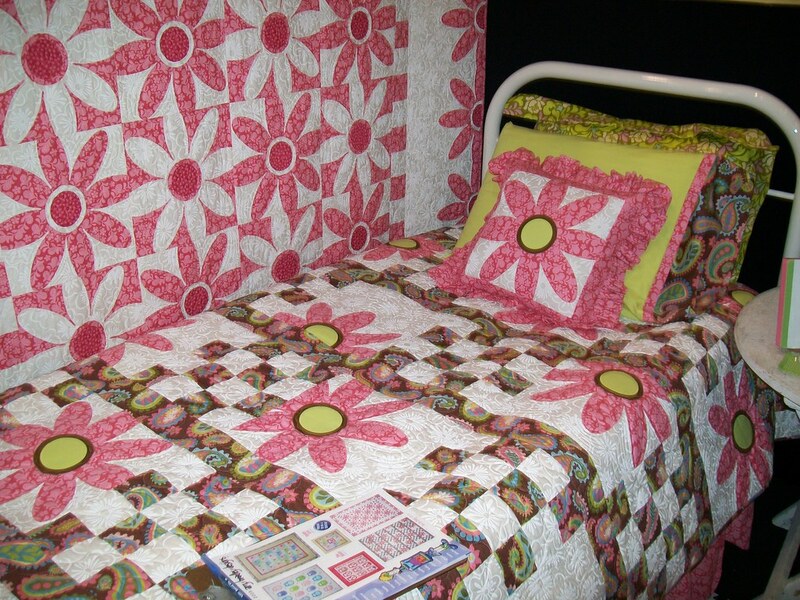 You can look at all of my Houston Quilt Market pictures at my flickr account. 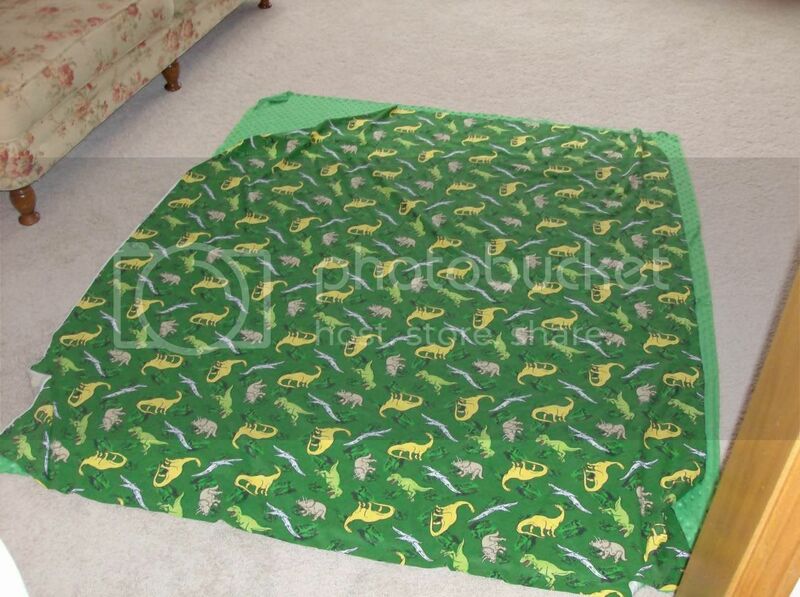 I posted earlier about Ben wanting specific fabric at Joann’s…well, here is what we did with our two yards of each fabric: dinosaurs on one side – green Minky fabric on the other. The blanket was super easy to do – finished in one afternoon – but it took longer than it should have (doesn’t it always?) because the heat-n-bond I used to put the B-E-N letters on gummed up my needle and kept breaking the green Sulky thread. 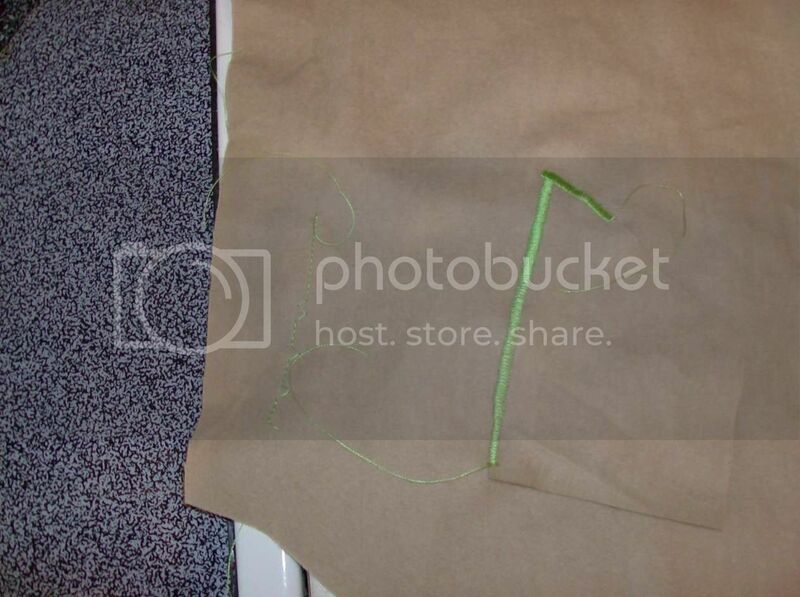 If anybody knows how to do a satin stitch so this won’t happen, please, please let me know! Step 1: Lay fabric out with right sides together. Cut to the dimensions you want (I could use tips on accurately cutting large rectangles!). Step 2: Print out the letters you want in the font of your choice – thicker is better and easier to sew regardless of what your stitch will be (best are zig zag or satin stitch). 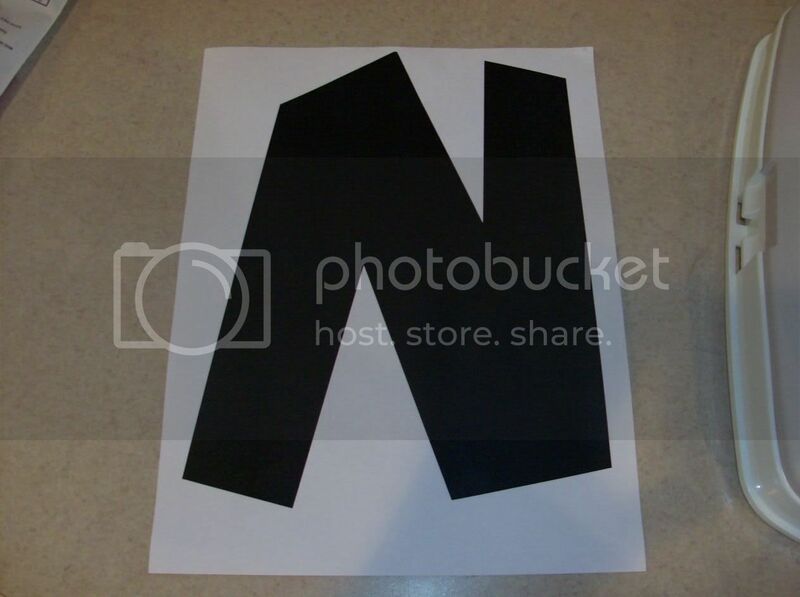 Step 3: Cut out the letter and either trace it onto freezer paper or staple it to freezer paper and cut out the same shape out of the freezer paper. Create the letter so the waxy side is on the back. 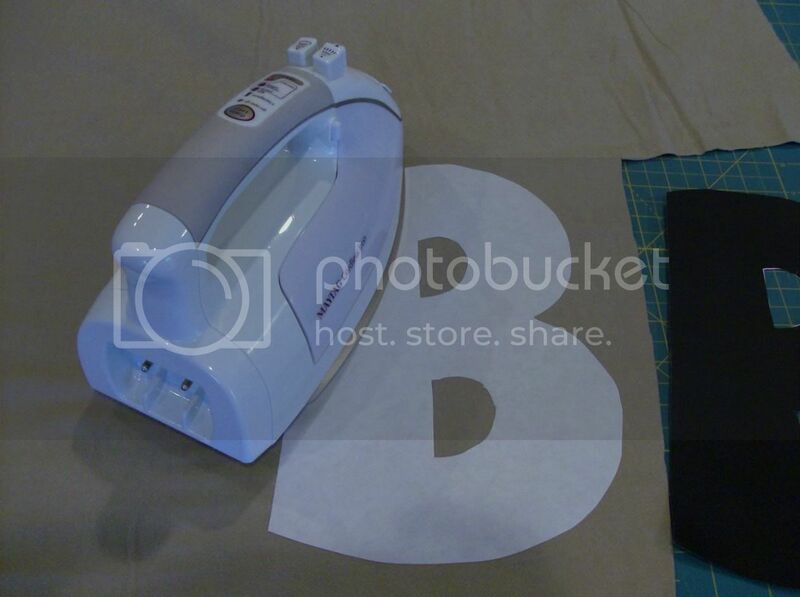 Step 4: Iron the freezer paper, waxy side down, onto the fabric you want to create the letters – mine was brown. Cut out carefully with as smooth of edges as possible. 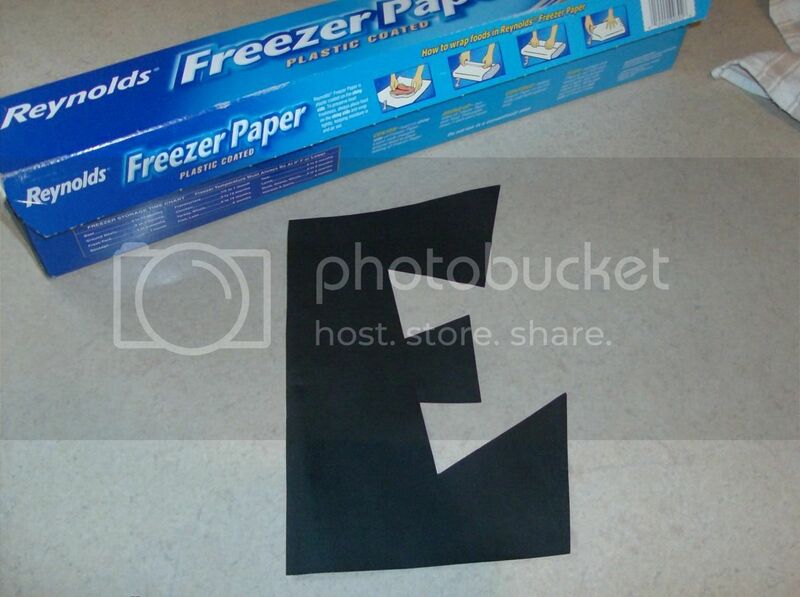 After they’re cut, you can remove the freezer paper if you’d like to. Step 5: Adhere heat-n-bond to the BACK side of the letters as per the directions on your product. I would highly recommend using a lighter version than the ultra heat-n-bond that I used because when satin stitching it created enough heat to gum up my needle and keep breaking the Sulky thread I was using so for the three large letters I had I had to clean the needle and rethread about twenty times! I, myself, will not be using a wonder-under type thing again but pin my letters in place securely and just sew them on that way. Tip: I ironed one letter on at a time while the others were pinned to the fabric so I would have a visual guide as to where each letter should be juxtaposed with the other two. Step 6: I started out satin stitching but ended up having to zig zag because of the gummy needle situation (see above). To make a satin stitch with your machine, just widen your stitch width and shorten the stitch length to 1 or so (you can test this out and create a satin stitch to your liking). Step 7: Return blanket top to match up – right sides together – with the minky bottom and sew all around the edges using about a half of an inch seam. 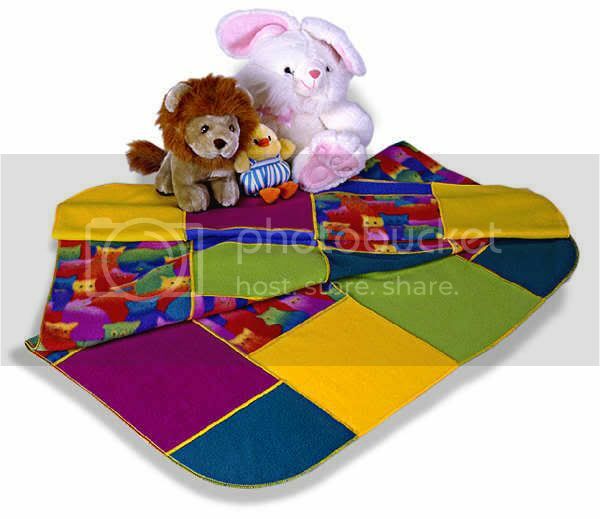 I used a dinner plate to round the edges of mine – easier for kids to make their own beds with that shape of blanket! 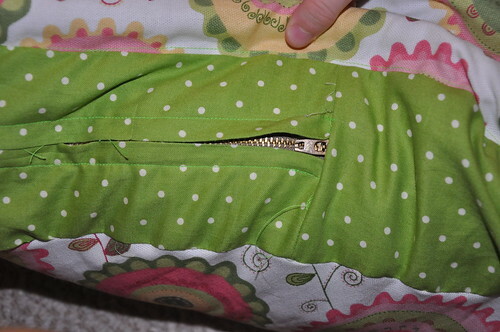 Then I sewed all around, leaving a 4″ to 5″ opening to turn the blanket inside out. Step 8: Topstitch all around the edge as close to the edge as you can get while fingerpressing the opening and stitching it closed. Then, sew around the blanket again about a half of an inch inside the edge to give it a finished look. All done! Easy as pie. 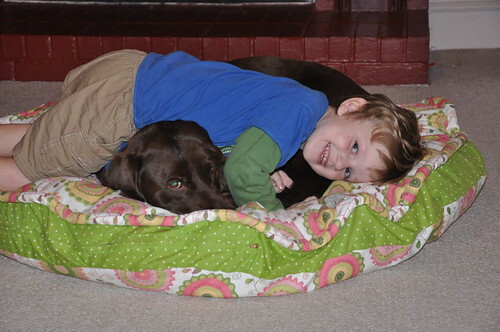 Definitely a favorite utilitarian blanket around here – and it looks so cute in Ben’s room. Please, please if you know of a faster, easier or better way to do any part of this project, please let me know! I don’t have girls but these two almost make me want to have another baby!!! What a cute idea. I think I’d like this idea reinterpreted with felted wool or even fleece so the edges don’t fray (though I much prefer the natural fabric and recycling of wool sweaters). Very cute idea from Katie Did! Today I went to JoAnn’s. Actually, twice. I hesitated going at all because Benjamin was grumpy and I was too. I knew the day would go much more smoothly if I just stayed home. My friend was going, though, and I love to feed off her beautiful energy so I went along with the idea, hopped in my car, and met her there. It helps that our children are in love (she’s 2 and Ben just turned 3 and he calls her is “grill-friend”). Anyway – Ben would not put down a bolt of fabric. 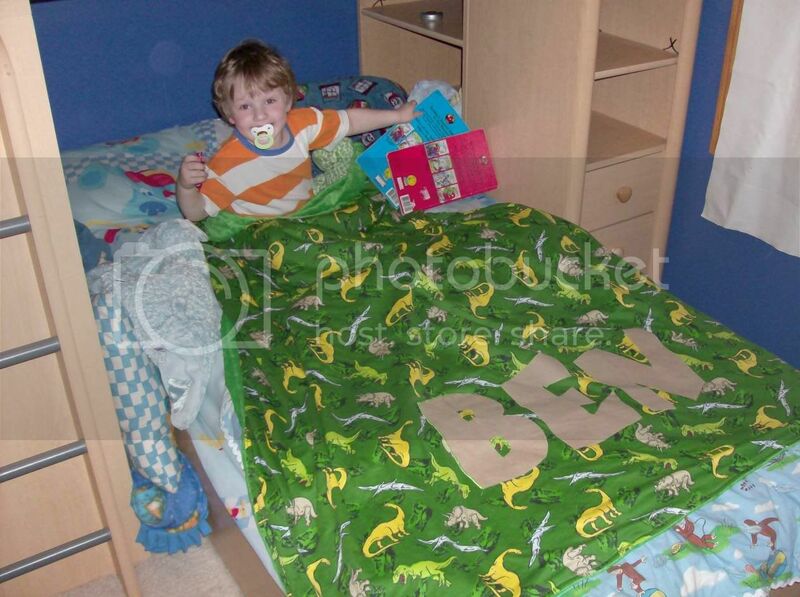 It was hideous green with dinosaurs but he loved it. 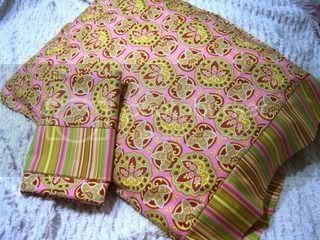 It was in the same aisle as the Minky fabric and he actually pulled down a matching soft green dotted fabric too – yes, he had two bolts. Unbelievable. Then he wouldn’t let them go and so I gave in (I had two 50% off coupons to use) and got 2 yards of each fabric to make a quilt for him. We had the fabric cut and when they bagged up his fabric, he wanted the bolt instead. He cried and cried for the bolt of dinosaur fabric. It was insane. I tried showing him we had purchased some and it didn’t suffice (anybody else going through the stubborn 3 year old phase?). I purchased some matching green thread and went to lunch with my friend. Afterwards, I found another coupon that was going to expire on Saturday so I went back in for binding material. I lost track of Ben and — guess what? — he came walking out of the aisle with the newly-put-away bolt of dinosaur fabric. What a crazy kid. On the way home, he slept with the fabric in his car seat. I told the realtor no showings for tomorrow because I am going to have to make that stupid quilt in one day. We’ll see how it goes and I’ll be sure to post pictures tomorrow. 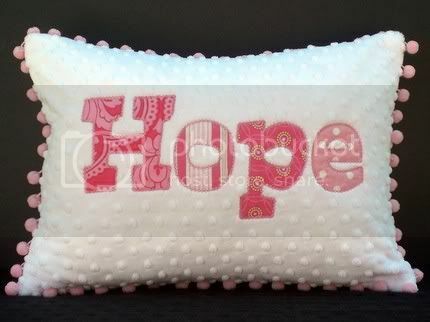 The pictures above are inspirational ideas found on flickr from Southern Sassy Pants, Snug A Bug Blankets and Baby Gees. 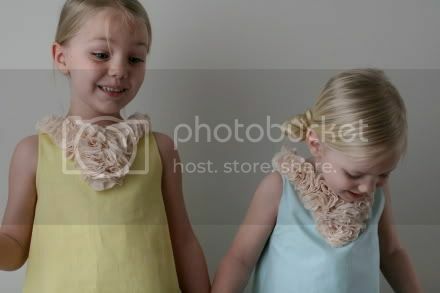 I saw this idea on CRAFT the e-zine and followed the link to This Mama Makes Stuff. 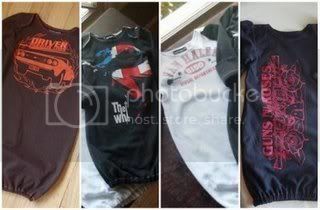 What a great idea – take those super nostalgic concert t-shirts and make them into stuff for the next generation. Love downcycling and retaining the sentimental value. Great idea! 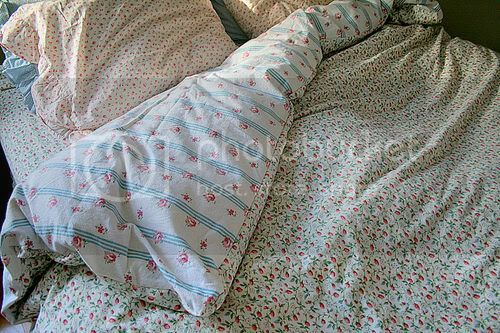 For those of you who are a beginner like me, check out Karlee Fuch’s FREE pillowcase sewing pattern here. Sweet dreams! Interesting concept. I’ve come across a few sites that I don’t want to forget and – just in case you’re interested – thought I’d put them here to share with you. First, there’s a great tutorial by Grumperina on how to make your own custom labels with ribbon and an inkjet printer here. She also has a great knitting blog. Thorough as she is, there’s also a great tutorial on cabling here. Next, I’m bookmarking several companies who will produce your labels professionally: namemaker, Northwest Tag & Label, Clothing Labels 4 U, and Custom Couture Label Co.
A few other options: I’ve heard also that you can search ebay and etsy sellers for custom labels as well. If you really like to control the creative process – print your label onto inkjet transfer fabric and create your own to sew in the seam. Photo above from the Clothing Labels 4 U website. That last one makes me want to have my own little French baby named Fleur just so I can knit her a sweater like that!!! Sooooo precious. Hope you enjoy the links as much as I have. I also have to thank Zoelioth – my first French blog place that I lurked. Don is soooooo sweet. He always lets me pick out my own presents. I think he secretly prefers it that way. 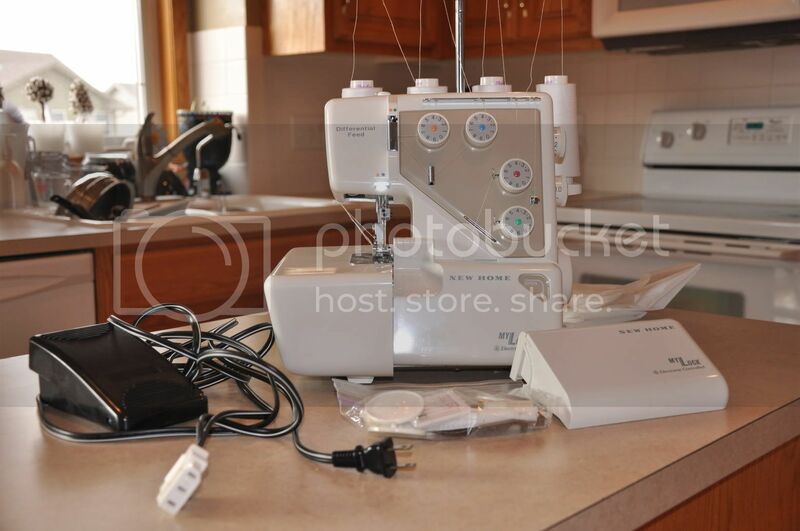 My birthday isn’t until April but I saw a serger on Craigslist and have wanted one ever since Becky Wilford serged us a Christmas tree skirt in 1992, so I emailed the guy and gave a lowball offer — and he accepted it! So we met halfway and Don stalled the car by leaving the ignition on so we had to call for a jump from some friends at church (thanks, Brother Jim Barnes) and then we made it home with our new baby….I mean serger. It didn’t come with a manual but I contacted Janome (the maker of MyLock) and they sent me one via email the very next morning. I am so excited. I might miss a few posts just because I’m trying to thread it (threading alone could take days for me – steep learning curve!). Tell me what you make with your sergers. I’ve heard they are to a regular sewing machine what the sewing machine was once to hand sewing. 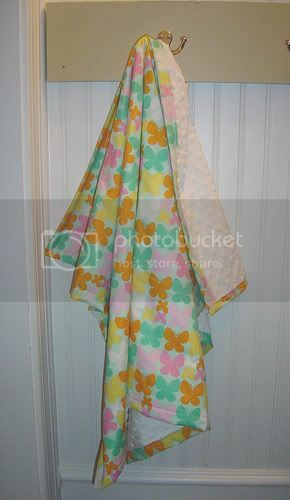 I’m excited to make tablecloths at the very least. 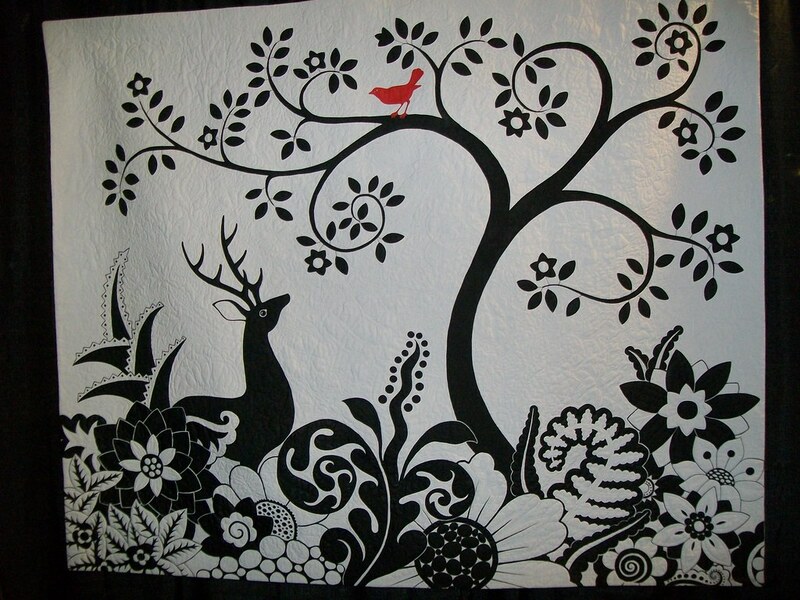 Oh, but look at these serging projects at Janome’s website – this fleece blanket is so very cute! Happy sewing! Yes, the dirty dishes in the background are also mine. They have since disappeared. I promise. I left them to do more important things. Like blogging. Wow. A really decked out Janome. Talk about bling! Sewing machine bling – who knew?! 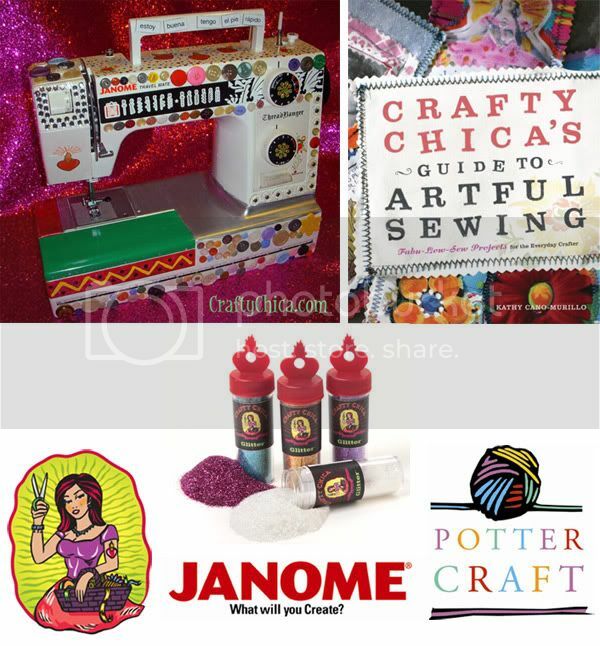 There’s a fantastic giveaway going on now at The Crafty Chica. To enter the giveaway, send an email to amalec(at)randomhouse(dot)com with Crafty Chica Sweepstakes in the subject line. Information on this giveaway was from CRAFT Magazine.